Have you lost your spacers and have a TRS Anklebiter (or any similar) GY6 CVT Cover on your GY6 engine? Made in-house on our CNC lathe. Concave for all CVT covers to help belt slap on longer 842 belts. Sold each just in case you only need one…. Have you lost your spacers and have a TRS Anklebiter (or any similar) GY6 CVT Cover on your GY6 engine? Made in-house on our CNC lathe. Concave for all CVT covers to help belt slap on longer 842 belts. 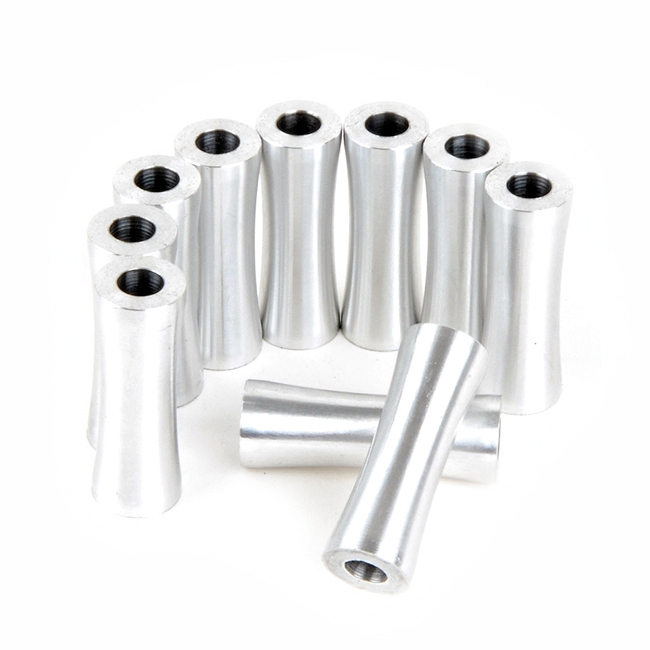 Spacers are made from 6160-T Aluminum. PRICE IS FOR 1 SPACER EACH ADD AS MANY AS YOU NEED.